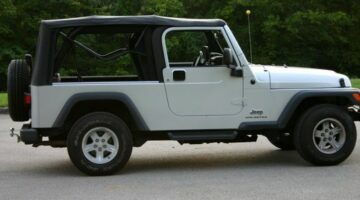 The Jeep Wrangler Unlimited model includes the 4-door Jeep Wrangler (JK) made from 2007 to the present and the 2-door long wheelbase Jeep Wrangler (TJ) made from 2004 to 2006. 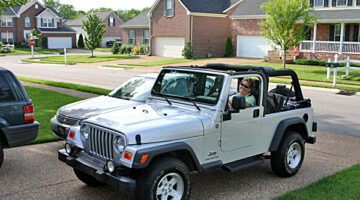 Here, Jeep owners share their personal experiences owning a Jeep Wrangler Unlimited. 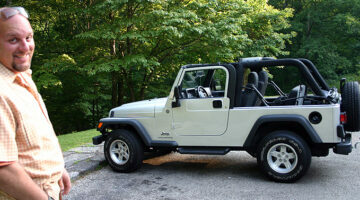 Is a Jeep Wrangler the right vehicle for you? 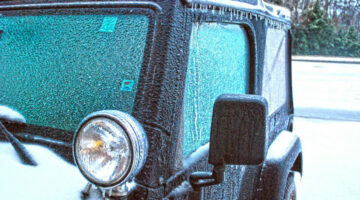 As the owner of several Wranglers and a Wrangler Unlimited, these are the Jeep Wrangler pros and cons — as I see it. 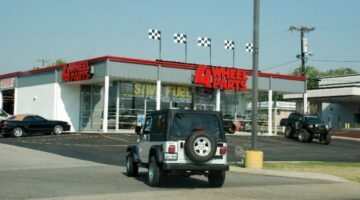 If you go through these 20 reasons to own a Jeep Wrangler + 20 reasons NOT to buy one, and test drive a Wrangler (or rent one! 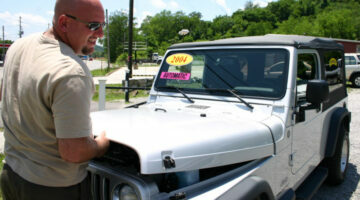 )… then you’ll know for sure if a Jeep Wrangler is the best vehicle for you or not. 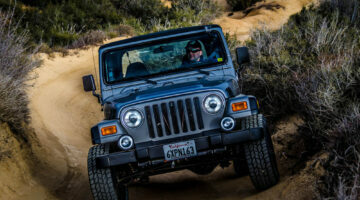 If you plan on taking your Jeep Wrangler off-road at all, then you really should consider these 7 add-ons. 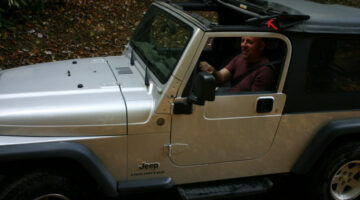 A Jeep guy shares his top aftermarket Jeep parts for new Jeep owners. 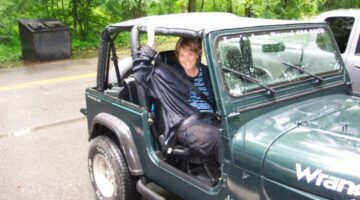 New Jeep Lift Kit & Tires: Before And After… Plus Some Things To Think About! 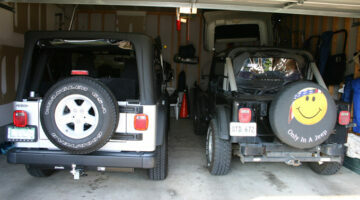 We got a 3-inch lift kit and new tires for our 2004 Jeep Wrangler Unlimited. 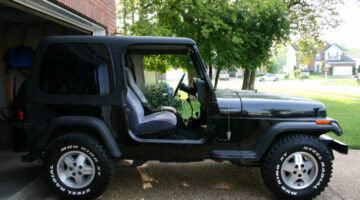 It was the best thing we ever did for the Jeep! 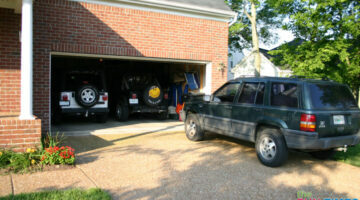 Here are a few things I learned AFTER the fact about adding Jeep lift kits & tires. If you’ve got a Jeep Wrangler and you need a new soft top for your Jeep, there are actually a number of replacement soft tops to choose from. 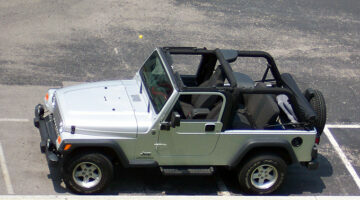 Here is what’s available in terms of replacement soft tops for Jeep Wranglers. 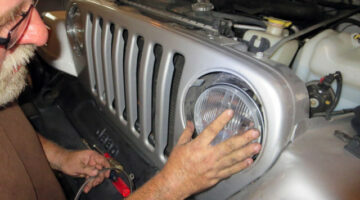 Ever since the day we got it, Jim has been wanting to add some lift to our Jeep Wrangler Unlimited. Not much, just enough to give us a little breathing room offroad and allow us to put some bigger tires on the Jeep. Here is the lift kit we ultimately decided to get. Plus info about the new tires & wheels we’ll be adding at the same time. 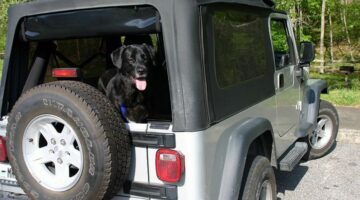 When the soft top is down on our Jeep, we use the Clover Patch Jeep Window Cover to protect and store the Jeep’s windows. We like this one best because the Clover Patch is an all-in-one system — so everything stays in the Jeep! Yet it’s completely out of the way and you don’t even notice it’s there. 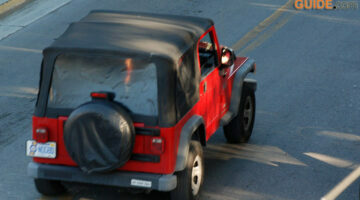 Here’s a video we made that shows how to remove the soft top from a Jeep Wrangler Unlimited.